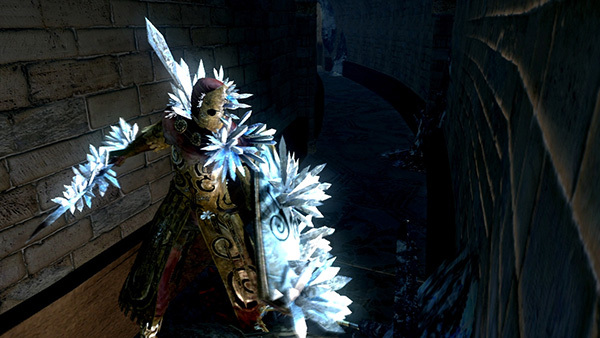 In the corridor leading to the first Seath the Scaleless encounter. It's best to lure him out of the corridor to be able to dodge his attacks. 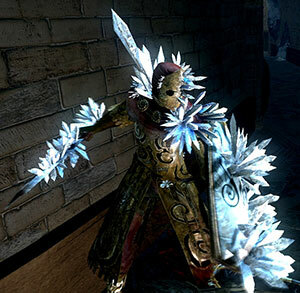 Will attempt to parry you and riposte for great damage when he puts up his shield and walks slowly. He can parry even though the normal Crystal Shield can't be used for parrying. This guy seems to be cursed with fat rolling, which he uses too much for his own good. This often occurs when he's trying to catch up to the player, wait for the invincibility frames to wear off and punish him (he will take slightly more damage because he was trying to use an evade tactic).